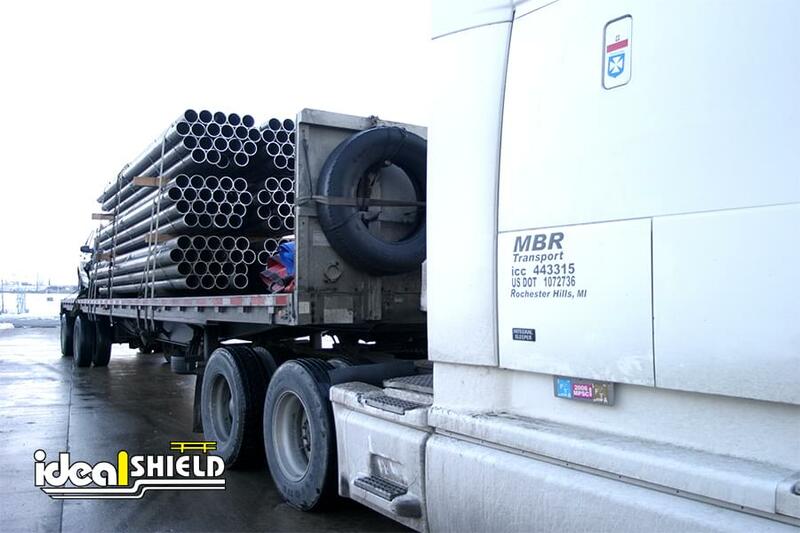 Steel Pipe Bollards are made from US Steel and are designed to protect buildings, pedestrians, and equipment from vehicle or forklift collisions. 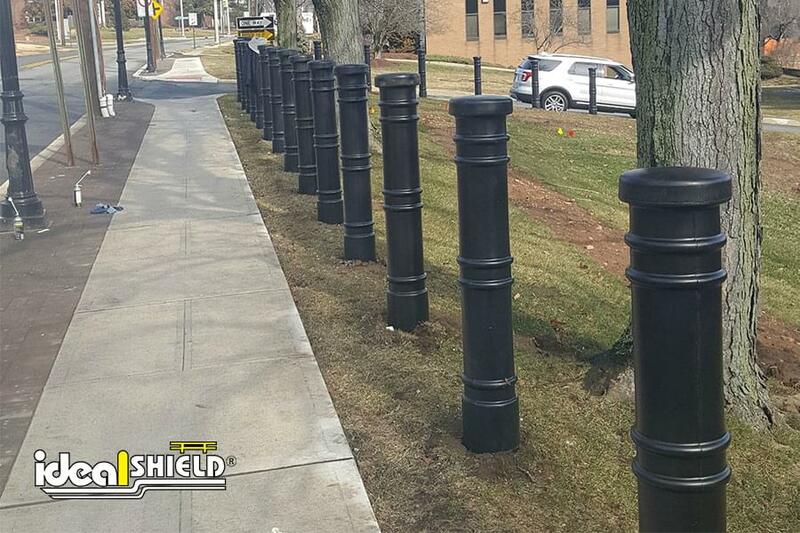 Bollards are used in a variety of pedestrian-friendly and critical-asset protection settings, such as storefronts, parking lots, sidewalks, machinery protection, in-plant protection or any traffic-sensitive area. 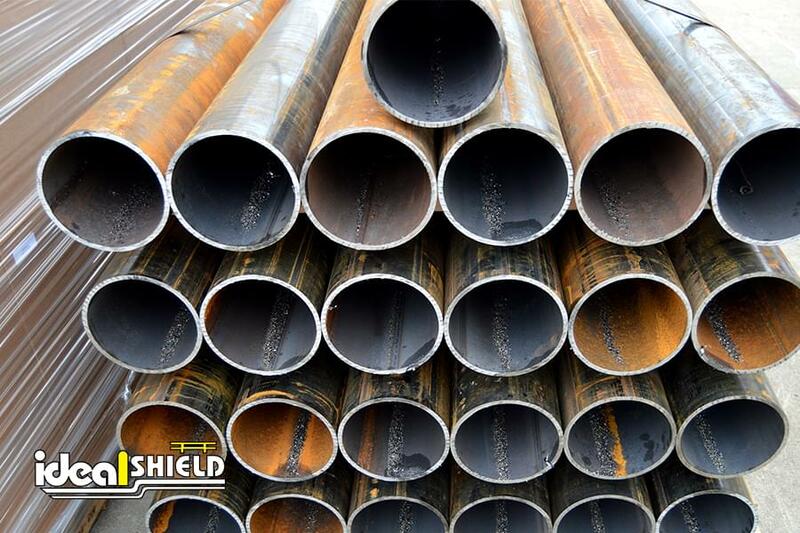 Ideal Shield has a massive inventory of steel pipe, ensuring the best prices and lead times. 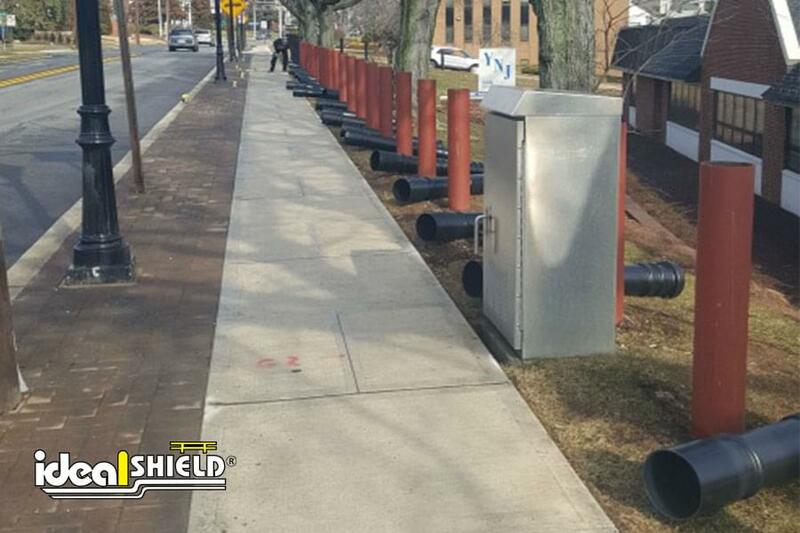 Available in any size, our steel bollards can be either plate-mounted or core-installed. 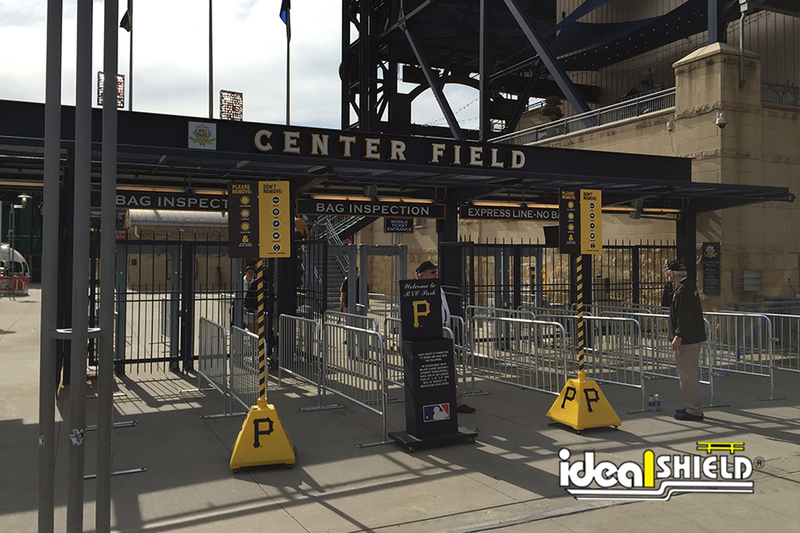 Ideal has custom options such as removable, locking, and flexible bollards. 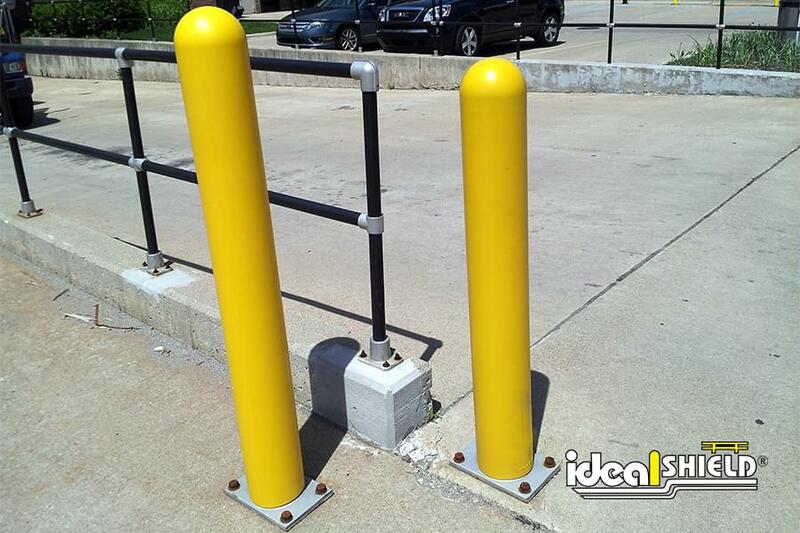 All bollards are offered in a variety of finishes including our highly recommended Ideal Shield Bollard Cover. Other finish options include Galvanized, Raw, Prime Painted, or Powder Coated. Multiple base-plated and surface mounted options including our Bevelled Base Plate to limit trip hazards and our Super Duty Base Plate for maximum protection. 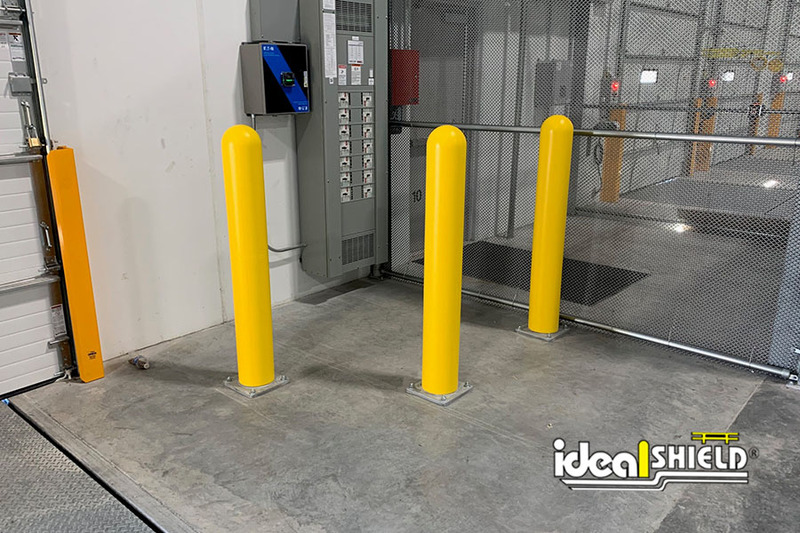 Ideal’s steel fabrication department can deliver custom made bollards with cut-outs, eye bolts, removable option, bollard sign systems, and electric vehicle charging stations. Please contact our sales team to discuss your custom application. Finish: Recommended finish is using an Ideal Shield Bollard Cover. Raw, Primed, Painted or Galvanized finishes also available. 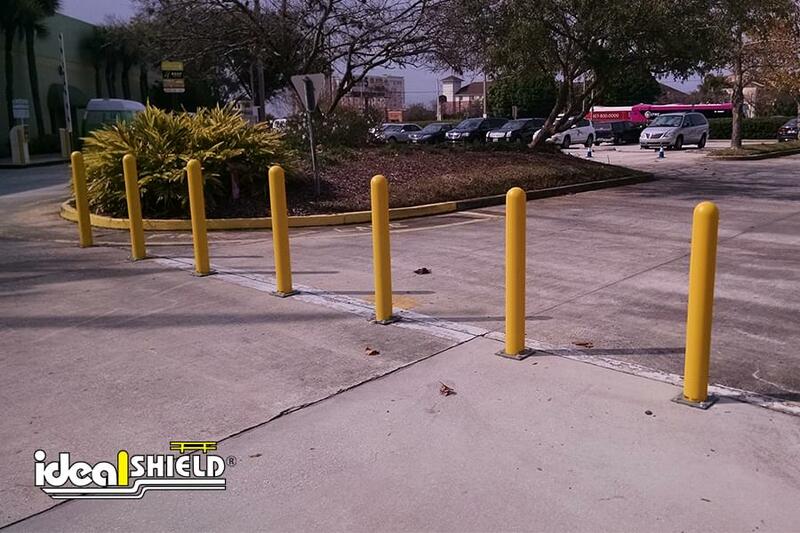 Finish: Standard finish is using an Ideal Shield Bollard Cover. Raw, Primed, Painted or Galvanized finishes also available. 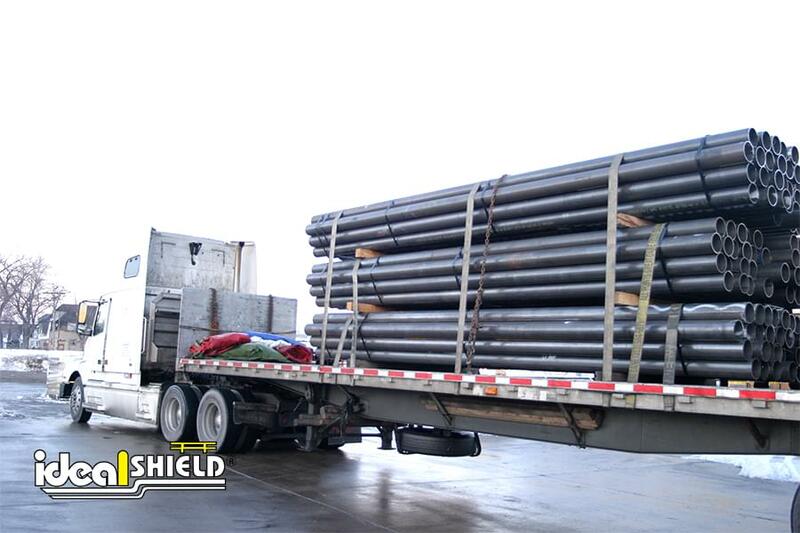 What sizes of steel pipe bollards do you offer? 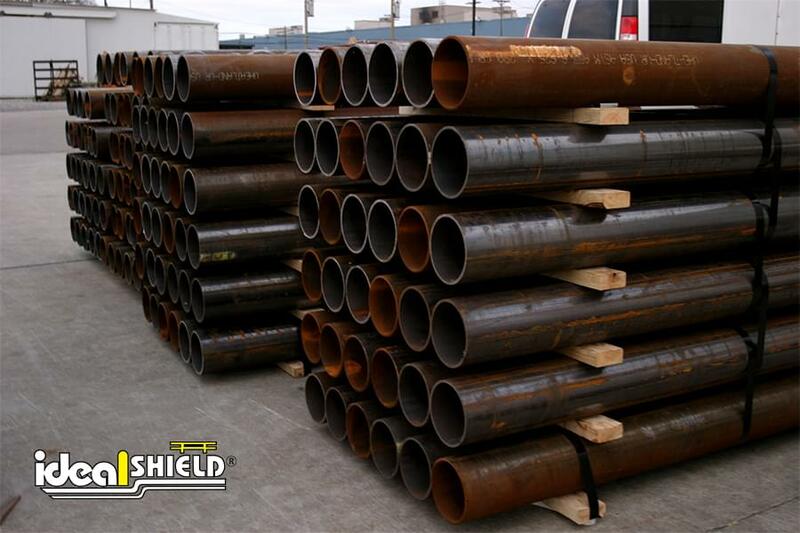 Ideal Shield offers schedule 40 and schedule 80 steel pipe bollards in any size 3” to 10”. 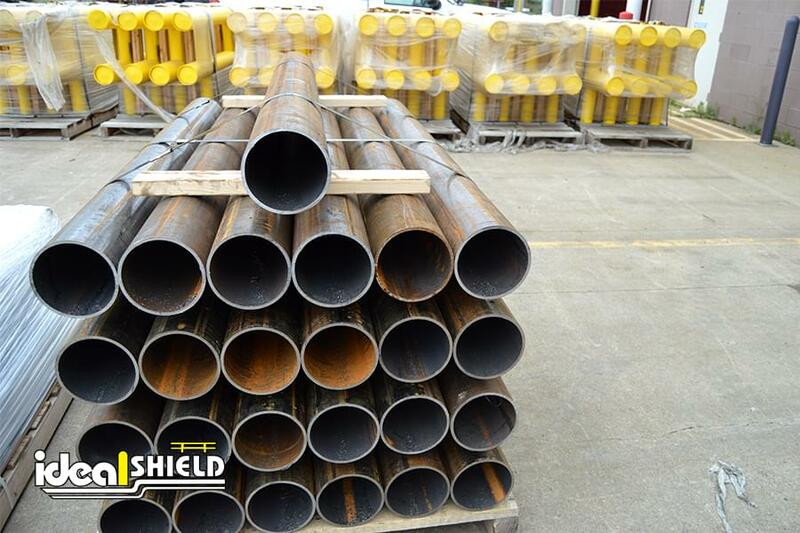 Steel pipe bollards are available in any height. 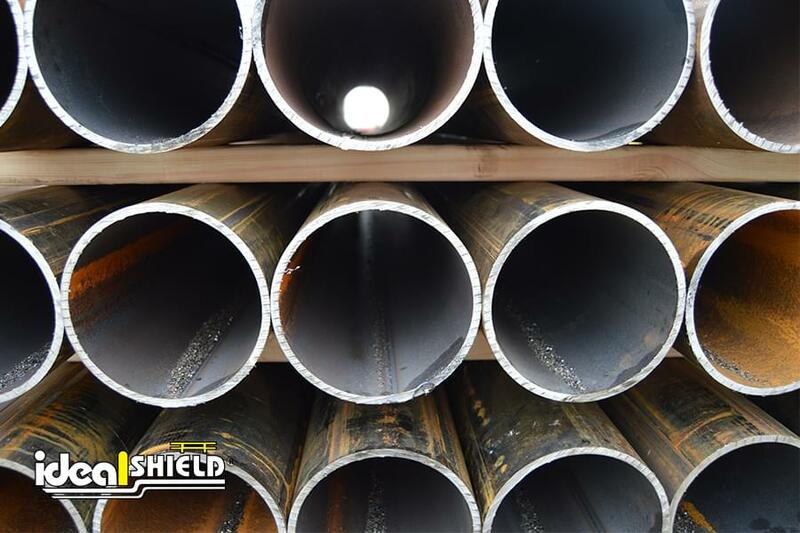 What installation options are available for steel pipe bollards? 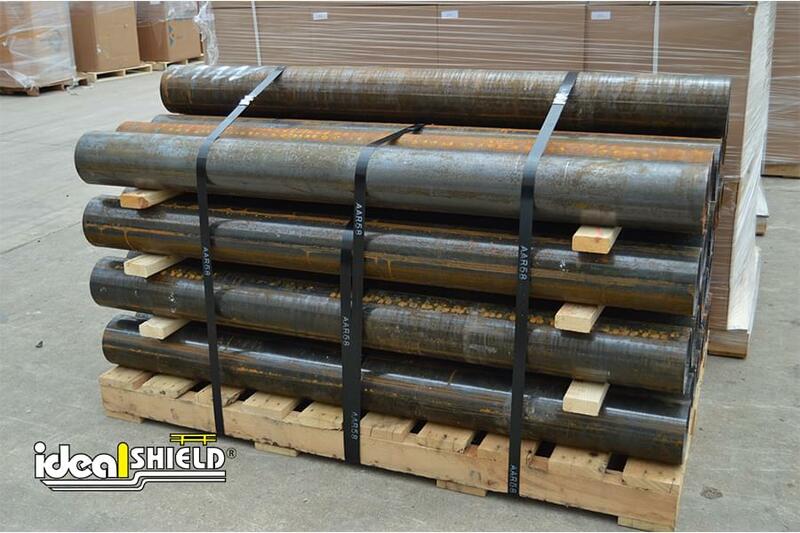 Ideal Shield’s steel pipe bollards are available with cored-in or base-plated installation. 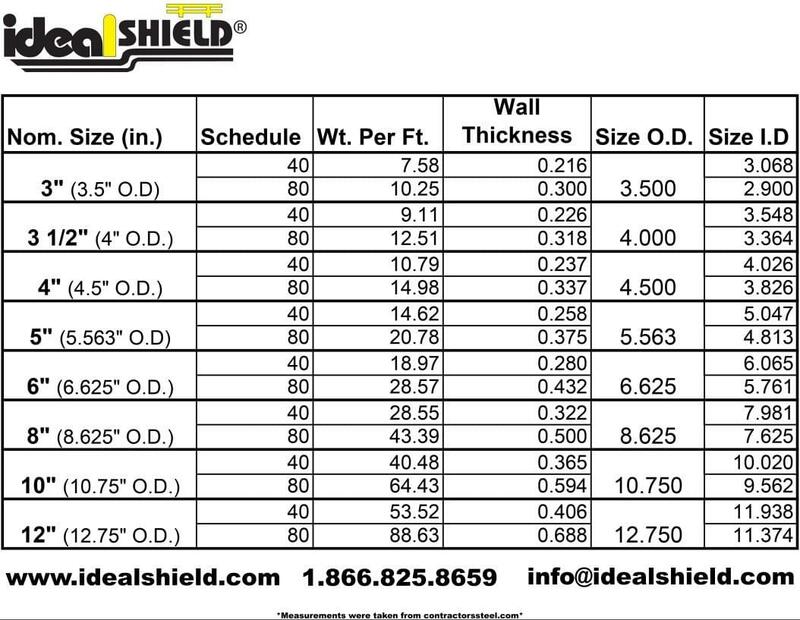 Ideal Shield also has removable options available; contact us today for more information. 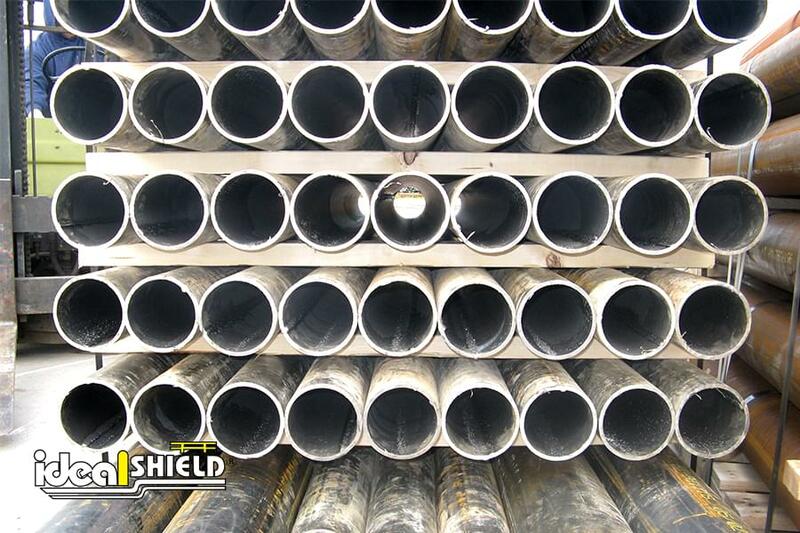 What finishes are available for Ideal Shield’s Steel Pipe Bollards? 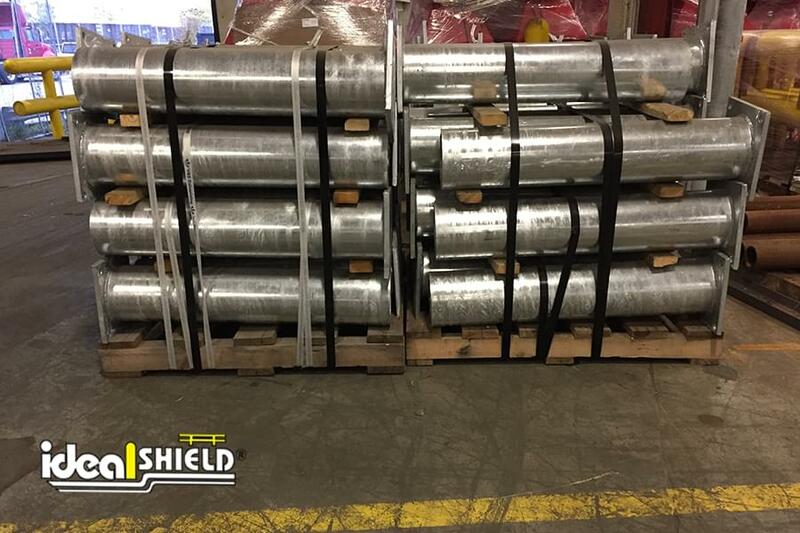 Raw, galvanized, or primed. 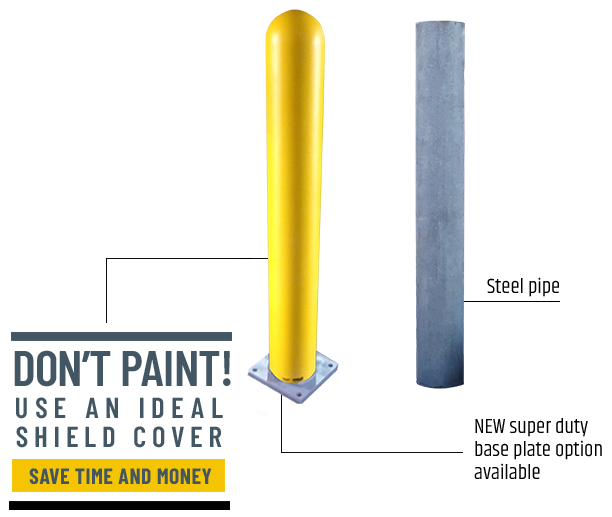 Skip painting and maintenance, and pair with an Ideal Shield bollard cover to save labor costs.